Columbus discovered the New World. Magellan found a new land with spices and gold. How did these men find their way around the massive oceans of the world to explore and conquer new territories? The history of navigation is largely the history of seamen and their ingenious ways of telling directions. Before the global positioning system (GPS) and Google Maps, how did men know where to go? In modern times, you look up to the stars for inspiration or contemplation, not for direction. But for ancient sailors, the constellations marked their positions and served as “guiding lights,” so to speak, as they journeyed for home. Among these ancient sailors were the ancient Minoans. They lived from 3000 to 1100 BCE in the Mediterranean island of Crete and left records of using the constellations to navigate. You can only imagine how hard it was for these seafarers to navigate. But of course, they still exercised some form of caution, so they sailed within sight of land whenever possible. Compasses were invented around the 1100s or the Middle Ages and led to the booming of sea voyages. Using the Earth’s magnetic poles to indicate direction, compasses were certainly more accurate than stars. The Europeans were the first bunch to figure out the use of compasses in telling directions even though it was the Chinese that invented it. Some seafarers used what they called the Portolan Charts, which is a map created using compiled sail data by seamen. Although useful, they still lacked vital information such as distance, latitude and longitude. The invention of compasses and advancements in map making ushered the world into the Age of Exploration. It was then when Magellan hopped on his ship to search for spices in Asia. It was also then that Columbus set out in search of the new world. During the Second World War, strides were made in developing a navigation system that’s more accurate than anything the world of navigation has ever seen. The GPS was slowly being perfected. With the first four satellites launched in 1978, GPS is now made possible by a constellation of 24 operational satellites owned by the U.S. and launched on 1993. 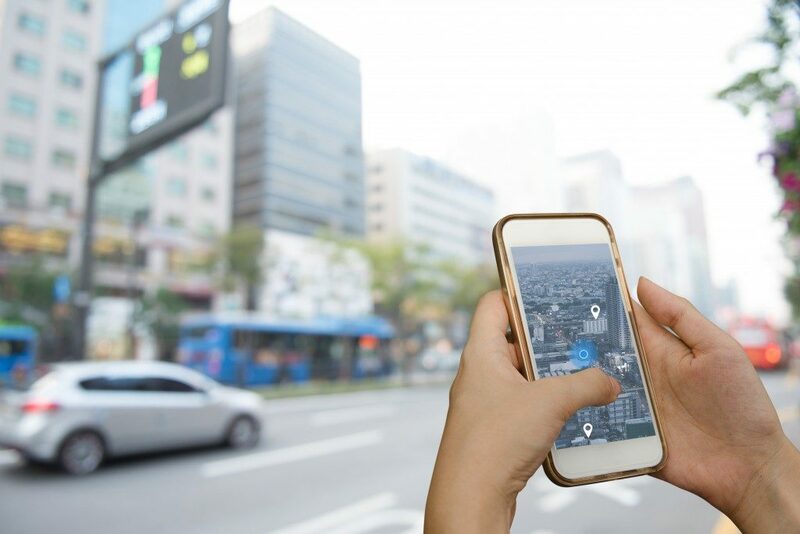 Originally used for military purposes, GPS is now used by the average American for navigating traffic, finding the local restaurant they saw on TV, or looking for their next travel destination. Revolutionary advancements in GPS technology like the development of “indoor GPS,” an inertial navigation system (INS) simulator, and the ability to see an entire fleet of vehicles on one screen give us more to look forward to. From the stars to the satellites, the way we navigate the world has changed the way we live and see the world. No longer is the vastness of Earth something to fear but something to enjoy, explore and to appreciate. The way we navigate may have changed, but our thirst for adventures and new places and culture remains. Where do you think navigation can take us next?